Just after take-off from Runway (RWY) 28 at Dublin Airport (EIDW), on a scheduled passenger flight to Los Angeles International Airport (KLAX), the Flight Crew of the Airbus A330 aircraft received a No. 2 (right-hand) engine fire (ENG 2 FIRE) warning, which required the No. 2 engine to be shut down. Following the shutdown, the fire warning ceased. 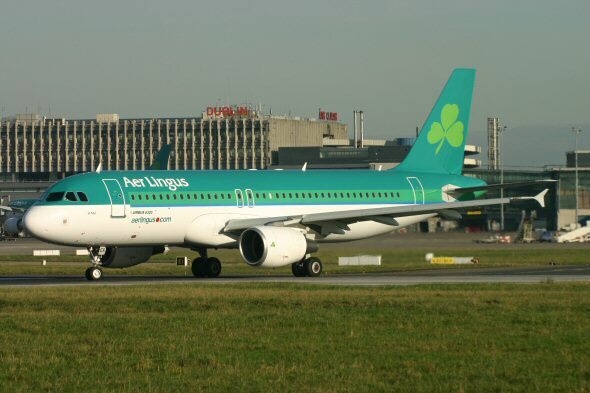 The Flight Crew declared a MAYDAY (state of emergency) to Dublin Air Traffic Control (ATC) and also pressed the AGENT 1 pushbutton, thereby discharging an engine fire extinguisher into the engine compartment.The ENG 2 FIRE warning was subsequently found to have been caused by hot, high pressure bleed air escaping into the No. 2 engine compartment as a result of the fatigue failure of a short section of No. 2 engine’s high pressure bleed air ducting. The microlight aircraft departed Lough Conn airfield, Co. Mayo at 16.33 hrs for a local flight towards Tobercurry, Co. Sligo. When the aircraft was returning, and was approximately 4.5 NM from Lough Conn airfield, it was observed entering a left-hand descending turn. The aircraft impacted terrain, in a near vertical, nose-down attitude. The aircraft was destroyed, and the Pilot, who was the sole occupant, was fatally injured. There was no fire. Two Airbus A320 aircraft, EI-DVG and EI-DER, were holding in sequence for departure from Runway (RWY) 28 at Dublin Airport (EIDW). Both aircraft had been transferred to the Air Movements Controller (AMC) on the Tower frequency. EI-DVG was stationary at the taxiway (TWY) E1 hold line. EI-DER was stationary at the corner of Link 1 and had been cleared to TWY E1. A Boeing 737, EI-EBW, was cleared by the Surface Movements Controller (SMC) on Ground frequency to taxi to TWY E1. While taxiing towards TWY E1 in accordance with its clearance, EI-EBW passed in close proximity to the front of EI-DER and stopped behind the first aircraft. No collision occurred but the margin of clearance was such that the Commander of EI-DER directly requested the taxiing aircraft to stop as it approached. As EI-DER and EI-EBW were operating on different frequencies, the transmission from EI-DER could not have been heard by the flight crew of EI-EBW. By the time EI-EBW was transferred to the AMC on Tower frequency, it had already passed EI-DER and was stopped. There was no damage to either aircraft and no injuries. Whilst landing at Kilrush Airfield (EIKH), Co. Kildare, a sailplane, EI-GMB, with one pilot on board, impacted the airfield boundary hedge on final approach to runway (RWY) 29. It subsequently impacted with a stationary sailplane, EI-GLA, which was positioned on the runway threshold awaiting tow. Both sailplanes were substantially damaged. The Pilot of EI-GMB was uninjured. A student positioned in the front seat of EI-GLA was also uninjured; however, an instructor pilot, who was preparing to board EI-GLA, sustained minor facial bruising as a result of evasive action taken to avoid the approaching sailplane. The aircraft was on a scheduled passenger flight from Birmingham Airport (EGBB), United Kingdom, to Cork Airport (EICK), Ireland. 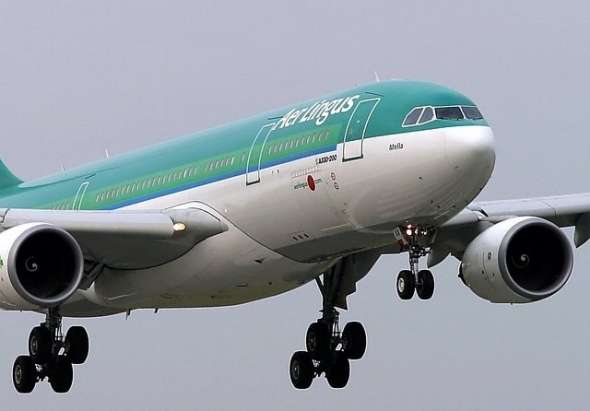 The flight was uneventful until just before the aircraft began its descent into Cork, at which point the Flight Crew received a Master Caution, triggered by two electrical faults. This was followed by a Master Warning associated with electrical smoke and by the sight and smell of smoke in the cockpit. The Flight Crew donned their oxygen masks, declared an emergency (Mayday) to Air Traffic Control (ATC), and carried out the SMOKE Checklist memory actions. 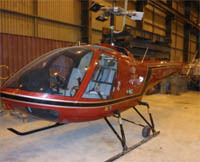 Non-normal checklists associated with Smoke, Electrical Smoke, and associated electrical failures were also completed, including the Manual Gear Extension checklist. The smoke cleared and the aircraft landed normally. There were no injuries. The aircraft was on a scheduled passenger service from Cardiff Airport, UK (EGFF) to Dublin Airport, (EIDW). During its final descent towards EIDW, the Flight Crew noticed a burning smell, which they described as “sulphurous”. The Commander contacted the Cabin Crew, who informed him that they had also noticed a smell. The Commander noted that the smell appeared to be getting more intense.The Flight Crew donned their oxygen masks, which had integrated smoke goggles, and declared a PAN-PAN (state of urgency) to Air Traffic Control(ATC). During the approach the Flight Crew experienced difficulties communicating with each other and ATC. They also experienced restricted visibility through the smoke goggles. The aircraft continued its approach and landed safely at EIDW, where it was met by the emergency services. There were no injuries. Whilst carrying out practice exercises near Carrahane Strand, Co. Kerry, the Pilot, who was the sole occupant of the Enstrom 280FX helicopter, landed briefly for a break. The landing surface was soft, wet, sand. The skids of the helicopter had touched down lightly prior to it rolling over on to its left-hand side. The helicopter was substantially damaged. The Pilot was uninjured. 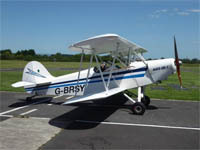 The microlight aircraft departed Spanish Point Airfield (EISP), Co. Clare, at 10.40 hrs, for a flight to Inishmore (EIIM), Co. Galway. When overhead Inisheer Airport (EIIR), the Pilot elected to land there. Engine power was reduced to idle at approximately 1,800 ft, and the aircraft commenced a glide approach to Runway (RWY) 31 at EIIR. On short finals the Pilot noted that the aircraft was low on the approach, and advanced the throttle lever in an attempt to increase engine power. This had no immediate effect, and the aircraft continued to descend, and touched down at the very beginning of the paved surface of the runway. The aircraft bounced, and at the same time engine power increased. It veered to the left, impacted a raised area south west of the runway and sustained substantial damage. The occupants of the aircraft were uninjured. There was no fire. On roll-out following a normal touchdown at Coonagh Airfield, Limerick (EICN), the HATZ CB-1 aircraft, with the Pilot and one passenger on board, tracked to the left and departed the paved runway surface. The left wheel sank into the soft grass at the edge of the runway. The front of the aircraft pitched down, causing the propeller to strike the grass and the aircraft to subsequently invert. There were no injuries.